Looking for a good read to keep you busy this winter? If so, I have a great suggestion for you. I was recently offered a free copy of At Home in Dogwood Mudhole, Volume 1: Nothing that Eats in exchange for an honest review on this blog. At Home in Dogwood Mudhole is the true account of one family's wish to escape from the stresses of average American life. Tired of it all, Franklin Sanders packs up his wife and sets out to live an "authentic life." Soon the children follow with spouses and grandchildren. Very quickly the nuclear family has become a homesteading multi-generational farm experience. This first volume in the three-volume series will have you laughing, gasping, and pondering the realities of starting a life over. It is above all, a story of family who loves God. A family who wants to put importance back into the way they live. Away from computers and media and the constant sense of doom, you will find yourself longing to also experience that deep sense of peace and contentment with your life. I could relate to many aspects of the book. In comparison to the Sanders, my own family would not be considered large. But in comparison to the majority of folks in my life, I have a large family. Franklin Sanders captured perfectly the sense of wanting to protect and guide the chaos that is a large family. Things are always just a little bit out of control, but manageable. Another aspect that I could relate to was moving day. Many folks around here have heard me say that if we move again I am setting the house on fire first. Everyone has a good laugh, but I am only half-joking. Mr. Sanders mirrored my thoughts on moving by relating his own feelings on the subject: "Where did all the stuff come from?... 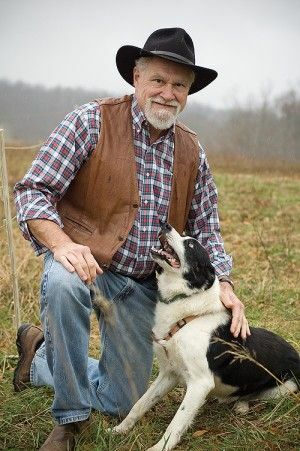 Frankly the idea of backing the [moving truck] into the pasture, unloading it, and starting a large bonfire is beginning to look reasonable to me (p. 156)"
Something that I really noticed about the book was the voice. Originally published as a series of letters, Mr. Sanders writes with a familiarity as though he is speaking to you personally. It is easy to get lost in the story and imagine that you as well are a part of this intriguing and mysterious adventure. It is easy to get wrapped up in it and begin thinking of the Sanders family as people that you know, instead of people that you read about. I received a physical version of the text. This softcover book had over 350 pages and several black and white photos of the Sanders Family and their experiences. 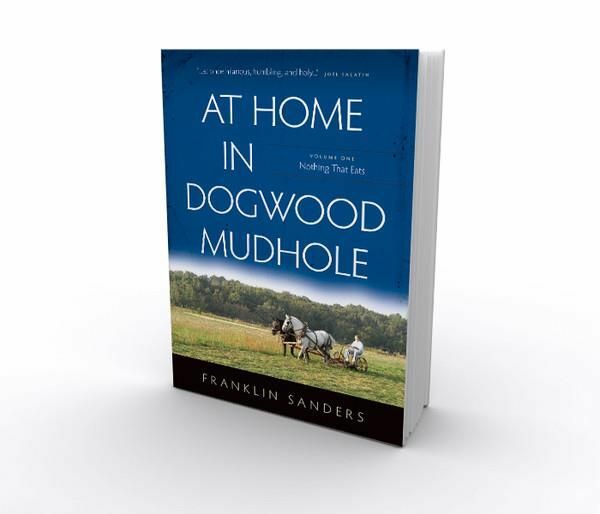 At Home in Dogwood Mudhole, Volume 1: Nothing that Eats is available on the Sanders' website for $22.95 for a physical copy and $16.95 for an e-version. In addition to this book, Franklin Sanders has published Volume 2: Best Thing We Ever Did. It is also available on the website. Volume 3: The sage of Dogwood Mudhole in scheduled to be released in the near future. Many other folks on The Schoolhouse Review Crew got a chance to read At Home In Dogwood Mudhole. Click here to check out those reviews, or click the banner below.